If you’re tired of weak sales growth, AND, if you’re truly ready to take Bold Action to increase your cash-flow $1.5 Million/month about every 18 months… then, why not let Captain Dave prove that he really can Help Your Group expand like the great operations do ! - you would be surprised at Mr. Klaybor’s impressive/extensive Client List. The world knows many of them. 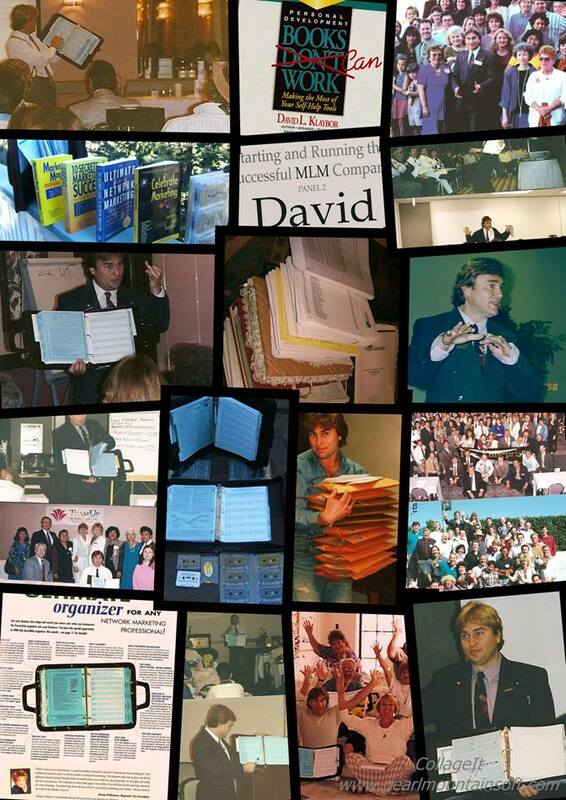 David is the “Muse”/Caddy/Consultant/Confidant to many of the most well-known leaders in the Industry… Beginners to Billionaire’s… will you become his next Success Story?! – lets find out. - DK’s Expert Guidance is designed to increase your gross sales $1Million/month, every 18-24 months, providing you implement his Proven Business Building Strategies/Recommendations/Modifications/Advice ! · DK enjoys discovering “what works” and “what doesn’t work” to grow a Company. 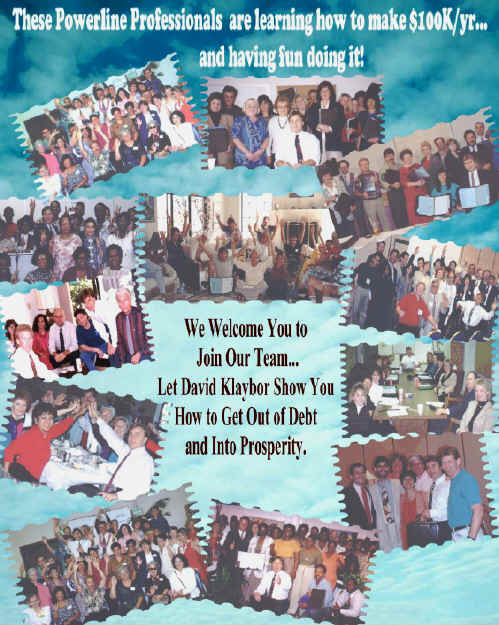 Over the last 2 decades, David has uncovered many unique Direct Selling Industry “insider” SECRETS that will Boost your Gross Sales Volume… DK will Increase your Stock Value… Increase your Activity-Ratio… Decrease your Fall-Out Ratio… Reduce your Stress and Pressure while increasing your Fun-Factor ! · David focuses on Marketing Programs, Sales Strategies and their Historical Performer’s… he is a mega-creative designer of systems and Success Formula’s that produce measurable results for his clients. Thus, DK is honored to have become an amazing Copywriter, Author, Columnist… as well as an amazing Speaker – Teacher – Trainer. 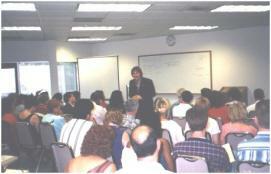 · David has designed/created many Sales TOOLS that will increase your Distributor’s Productivity. i.e. DK is blessed to be the World’s foremost Expert at manual Distributor “Contact Management Systems via his Award-Winning, Results-Producing, Celebrity-Endorsed PowerLine Master-Series Business Planner Systems… there design, creation, implementation and training… specifically for the Direct Sales Industry. No person on the planet has more skills related to this type of Productivity Management System. 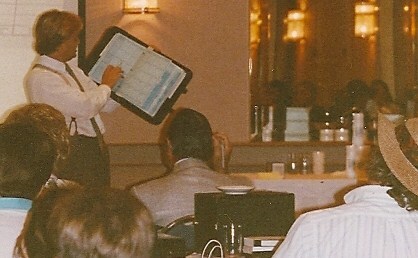 He started the trend, he made the 1st manual planner, he’s sold more units, been on more order-forms than any other – ever. · Mr. Klaybor is honored to haven been selected as the network marketing “Leader of the Month” by the largest Publication in our Industry, the “Network Marketing Business Journal”. DK’s History-Making story was detailed on the inside cover of the May 05 issue. http://en.nmbj.net/cgi-bin/md/M10168/s1.pl?e1ktrc4ii2gg6e2gi8kk6i8j3_%25 - - please note: DK doesn’t pay to have things published about him... nor will he place any ad to get a piece done on him… nor will he ask someone to publish his materials for any reason. - DK only gets published because industry leaders value his unique “cash-flow producing” teaching technologies, and DK’s materials are selected for their real worth and his contributions to helping people succeed. · ’05 - DK was included in Atty. Jeff Babener’s new book titled: “Network Marketing, what you should know”, (in Section 5, Managing Your Business) JB details DK’s innovative/unique Business Building Technologies. · http://powermind.tripod.com/TraitC.html - this was my BEST BOOK – I will be teaching this EXCLUSIVELY in ONE mlm Company… and this amazing training will INCREASE GROSS SALES in a Big Way ! 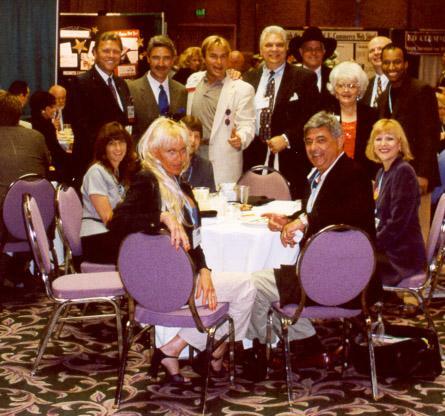 · ’03 - Dave is extremely blessed to have been voted by NWMing Distributors globally as the “The #1 Generic MLM Trainer in the World” - by a popular MLM Magazine/website… DK is honored to have been selected ahead of all of the biggest and best celebrity mlm training names in the industry that year. http://www.netmillionairebuzz.com/reports%20and%20articles.htm - 4 articles on this link …. · DK has consistently been blessed to have had his name on the top of 6 large sales organizations … over-and-over DK has demonstrated his ability to build large sales organizations that produce hundreds of Million in Sales over the last 22 yrs. for himself and his clients. DK is a historically proven veteran leader who knows how to build large sales groups… do you want to boost gross sales by MILLIONS per MONTH ? ! If so… if we find that we have the “Chemistry we both seek”… then lets find a way to form a Strategic Alliance Business Relationship over the next 10 days ! · Captain Dave has 11 MILLION MLM LEADS on a CDrom to share with the right leadership group ;-) Did that nugget of information just “sink in” ? ! DK also knows how to produce millions/month in additional SALES from these names. ALSO, DK will create MILLIONS MORE LEADS via his Awesome Top Secret “WAR ROOM Project” … everything DK does regarding Sales/Marketing/Training is designed specifically to boost Company Sales by $1M/mo every 18 months when operational ! 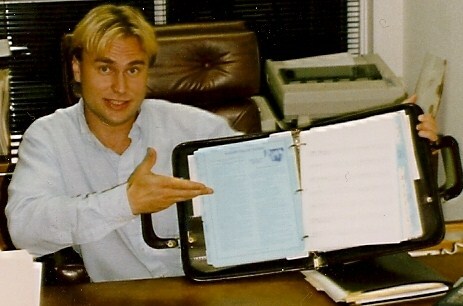 · DK has also been honored to have been asked to become either the: President… Vice President… Sales-Marketing Director… Owners “Right-Hand-Man”… the Director of Training… MASTER DISTRIBUTOR… and many other Administrative positions on the “inside” of many NWMing operations… So DK knows the INSIDE as well as the FIELD in the “outside world”. DK was honored to have been chosen as one of the 83 MOST INTERESTING PEOPLE in Milwaukee Magazine in 1983… this was his Home-Town Publication. He also won the A-level Racquetball City-Championship that same year. ü Your company acquires a Moral, Proven, Cash-Flow Producing Network Marketing Leader who will act as either your “Right Hand Man”, Expert Consultant, Trainer, Master Distributor/Dynamic Field Leader, VP of Sales/Marketing, or some other synergistic Executive Team Member. ü If you bring DK on board your firm, you would receive a 20yr. Industry Veteran who can handle ALL aspects of the sales/marketing/training areas of your operation. ü Your company also benefits from DK being recognized as a Award Winning Trainer who has designed Celebrity-Endorsed World-Class Tools. ü As a side note, your company would also benefit one day from having an in-house corporate pilot on staff for free... as well as a fun guy to add to the leadership team. ü Your firm receives a clean healthy guy who doesn't have any skeletons in his closet, no drugs/baggage... a life-time entrepreneur who is historically documented as a proven builder... a health nut... a sports car enthusiast… a sports nut... and, should DK decide to work with your firm, then you will also receive a loyal new friend who will protect your interests like a Junk Yard Dog! Perhaps we should look into establishing a long-term Strategic Alliance Business Partnership in the future? DK’s mission is to morally and economically increase your $ales by MILLIONS/per month… as well as increasing the value of your stock. This man is an affordable RARE FIND… how many people can you acquire who will produce millions a month in new sales volume ?! There just aren’t that many out there, are there. Please note that Captain Dave is NOT looking for a “job”. He is blessed to be “financially solid” and semi-retired due to his normal Successes because of our amazing industry. DK doesn’t need any “special deals”… his value is well-established. He is honored to be offered: “Professional Compensation for his Professional Services”. His job is to make you MILLIONS … drive your stock price upward… reduce your stress/pressure… add fun and adventure to your operation… all while helping tens-of-thousands of your Distributor’s to reach THEIR DREAMS ! Capt. Dave has earned the right to receive a standard professional agreement for the extra-ordinary benefits for the large benefits he brings to your firm. DK does the work of 3 highly skilled professional’s. DK’s name gets listed on the ASSET SIDE of the Balance-Sheet. He is the man you turn-to when you need some top-secret/confidential project completed the right way. He is looking for ONE last ADVENTURE whereby he can use his unique multi-talents to build one more $5M-$10M-$20M+ per month Company that will become the “envy of the industry” due to its huge success. DK wishes to use/implement all the amazing SECRET STRATEGIES he has gleaned from the last decade of research he has performed privately and kept to himself in the event he would launch his own NWMing operation. And we challenge you, once you are exposed to just a handful of his brilliant concepts and success strategies, that YOU will be overwhelmingly convinced that DK can indeed assist the “right operation” in growing its sales by millions/month. And this cash-flow boost will drive stock values upward greatly! We welcome talking to you farther about bringing DK on board. 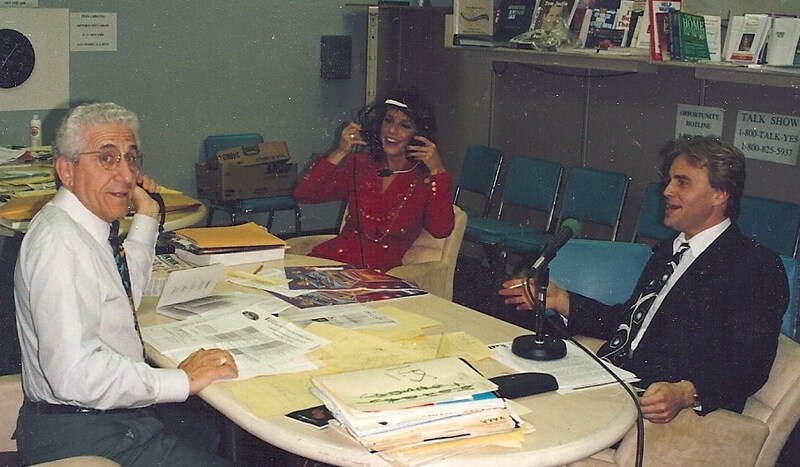 Captain Dave will interview you and your operation as much as you will be interviewing him. Lets see if this is a win/win/win situation. (There are several other documents that will be shared if/when we decide to move to the next level. DK is an affordable, multi-talented, Business Building Asset that is going to add MILLIONS of dollars per month to the “Bottom Line” of ONE BRAVE MLM OWNER in 2009… will that be your group? Are you really serious about growing your sales? P.S. we must address this final issue…. no one in this industry is immune from criticism or negative comments. We witness our Politicians hurling insults at one another daily on TV. The facts are, Successful Leaders have Big Ego’s … some are admired like Walter Cronkite… while others feel the need to say hurtful-disrespectful comments at their peers that they dislike or disagree with. ALL Business is fraught with: innuendo, speculation and ego-based disparagements. DK challenges any person to STAND IN FRONT OF HIM and produce any hard evidence that he is anything other than what he represents himself to be herein. Sadly, we occasionally have to deal with our detractor’s… DK stands ready and will earn the respect of his team-mates by his actions, character and his caring of others needs. DK knows that he is far from perfect, but he clearly has established a historical record that demonstrates his AMAZINGLY SUPER-MEGA INCREDIBLE, World-Class, Proven, “track record of success”… building operations and teaching others to do the same. DK respectfully submits that he has left a huge permanent POSITIVE MARK on this industry that will produce a lasting legacy after he is long gone. DK has strived to live a clean life and is known for being a moral-entrepreneur. He is quick to apologize when he is wrong and also quick to praise others for their hard work. DK is known for “sharing the credit” and being a FUN GUY to work with. DK is a consummate career professional. Never ask DK a question if you do not wish to here an honest/frank answer… and maybe not the answer you wanted to hear. DK is not a yes man. DK has clearly established himself as a Top Builder/Leader throughout his industry tenure. If asked, DK can and will produce a multitude of recommendations, referrals and approvals from the biggest most respected names in the industry. - thank you for taking the time to read this material. How can DK help you reach your goals, dreams and aspirations ?